AT&T and T-Mobile are in a data pricing war, and the result is good news for you, the customer. Today, AT&T sweetened its data deal to help entice new users over to its Mobile Share Value plans, but even with these plans—which are better priced overall—it seems AT&T is making you choose between a teensy bit of data or a ton. So AT&T’s basically fused its original 1GB and 3GB plans into a 2GB offering. Meanwhile, it’s demoted the old 6GB plan to just 5GB. Nothing special really. But then from there, it jumps massively up to 15GB for $100 and 20GB for $140. If you were a user on the old 10GB plan, you’re now getting 5 more gigabytes of data free of charge. Those high data tiers are also when the new extras kick in. You’ll be paying less per line and also receiving unlimited talk and text to Canada and Mexico. (T-Mobile recently expanded to Canada as well.) The new AT&T plans kick in on Aug. 15. 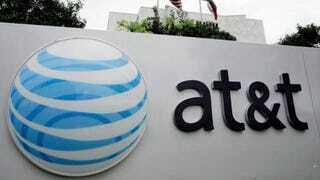 AT&T is now like the Sam’s Club of mobile data plans—Buy in bulk and share among family.